Allflex is a fascinating business. Founded in New Zealand in the 1950s, it was the pioneer of the flexible plastic livestock ear tag; a quick way for farmers to spot Daisy 1 from Daisy 2 in their herd. But against the backdrop of a growing human population, increasing pressures on natural resources and greater accountability for animal welfare, farmers need to produce food in increasingly smarter ways. 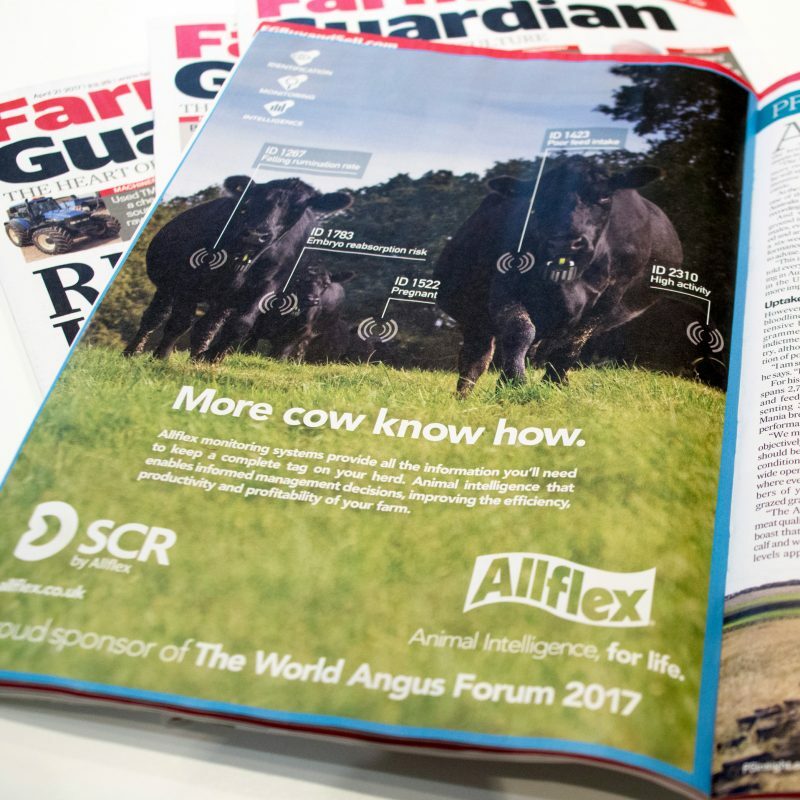 So fast forward to the present day and Allflex have rapidly expanded from ear identity tags into becoming the international leader in the development and distribution of products designed to help farmers identify, monitor and gain intelligence on the wellbeing of their livestock in much deeper detail. As a consequence earlier in 2017, Allflex announced its new positioning ‘Animal Intelligence, for life’, and we were tasked to create the UK expression for this global proposition. We developed a very simple awareness campaign in the core markets of Beef, Dairy and Sheep production that steered clear of technical jargon. 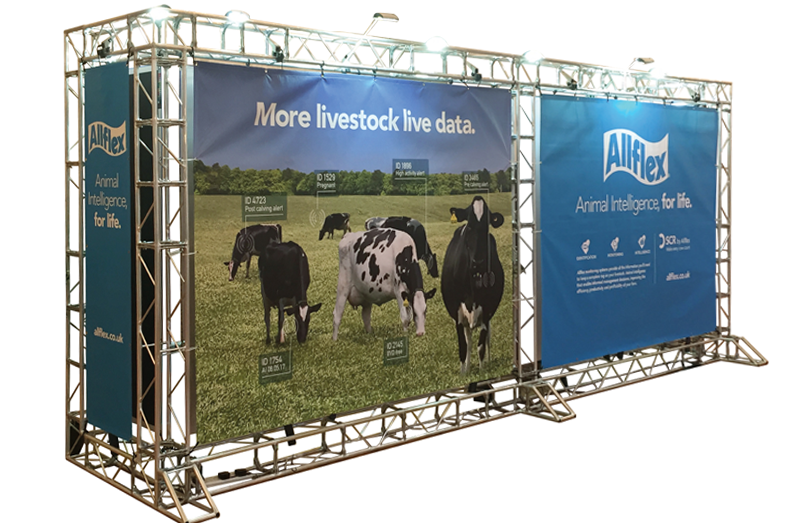 It has proved an adaptable approach for the Allflex product portfolio; from electronic identifier ear tags to wireless neck collars, stick readers to weigh scales, handling systems to software applications, the campaign is a consistent vehicle to demonstrate the concept of ‘animal Intelligence’. The launch took place at the World Angus Forum, a four-yearly event attracting farmers and thought leaders to exchange genetics information and breeding objectives, share their knowledge and expertise as well as providing a truly global networking opportunity. The 2017 event was hosted in the UK; the perfect platform to launch the B2B campaign and raise awareness of Allflex’s truly integrated product offering.